Over the last nine years I’ve travelled all over the world and used lots of companies and websites to do so. Below is a collection of some of the best. Be sure to check back here for deals and discounts before you book your next trip. G Adventures has defined (and redefined) small group travel for over 25 years. When you travel with G Adventures, you support local communities and help make the world a little bit better for everyone. You’ll stay under the radar, travel the local way, eat the local way and sleep the local way. You’ll have the unsurpassed knowledge of a local leader, taking you out of the guidebooks and into a world you’re waiting to discover. Contiki is a world leader in youth travel, with tours for 18-35s. A journey with Contiki is a story of shared experiences, unexpected adventures, inspiring places, lifelong friendships, and unforgettable moments. Topdeck Travel designs epic trips for 18–30 somethings. Discover authentic and fun group travel to Europe, North America, Africa, Australia and NZ. Momondo find and compare fares from more than 1000 airlines and travel sites, giving you the best rates. Also, they do it in style with their cool looking charts! Check out Expedia’s daily travel offers. Great cheap flights, car and hotel deals. Find your perfect holiday or city break and save now on your next trip. Skyscanner’s free flight search tool will help you find cheap flights and flight deals with popular airlines. As a travel fare aggregator website it’s a great place to start with any flight search. Jack finds the best discounts, offers and error fares to amazing destinations around the world. This is a free newsletter with an option to upgrade to premium. Read the review here. Find adventures nearby or in faraway places and access unique homes, experiences, and places around the world. New to Airbnb? Sign up and get £25 in credit. 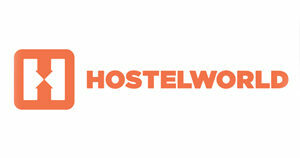 Big savings on hotels in 120000 destinations worldwide. Browse 150 million hotel reviews and find the best price on hotels for all budgets. 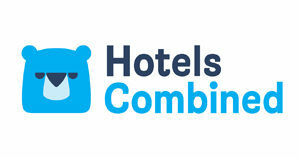 Compare all the top travel sites in just one search to find the best hotel deals at HotelsCombined – awarded world’s best hotel price comparison site. The award-winning alternative way to travel Europe, Asia, North Africa and the USA. Travel to 189 cities, sail in Croatia, Turkey, Thailand or Greece, party at the best music festivals or go on a tour! Uber are finding better ways for cities to move, work, and thrive. Download the app and get a ride in minutes. Click the link to get money off your first ride. Discover the wealth of culture and diversity of the continent with an Interrail Global Pass which gives you flexible train travel in 30 countries across Europe. Compare car hire deals and find the cheapest prices in over 53000 locations worldwide. As an aggregation site it allows you to search across all the big names in one go. 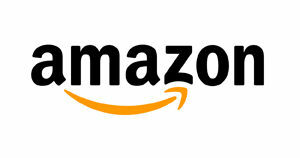 Amazon needs no introduction but it’s a great one stop shop to find all your travel gear. Backpacks, first aid kits, travel towel, bug spray and the list goes on. Don’t forget if you need deliveries in a pinch to get an Amazon Prime Free Trial. With over 50 years experience creating outdoor gear that is built to last and loved across the world. 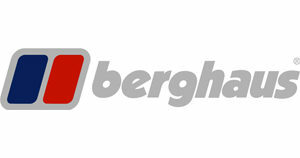 Berghaus know great kit is the difference between enjoying the outdoors and truly loving it. Shop for Outdoor Clothing, Tents, Ski Wear & Hiking Equipment Online. Free UK Delivery. Next Day Delivery Also Available. Easy Returns. Get Expert Advice from the UK Hiking Specialists. The UK’s Biggest Outdoor Stores. You can buy anything from waterproof clothing, outdoor clothing, tents, camping equipment and more. Great value Travel Insurance trusted by Lonely Planet. 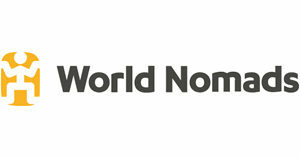 With World Nomads you can buy, extend & claim online from anywhere in the world. Single trip policies that include cover for over 150 sports and activities. For those with a more adventurous streak, many more daring activities can be covered for a small extra premium. Insurance cover which has the extra benefit in that you can travel back to your country of Residence once during the duration of the cover for up to 14 days. This is ideal if you need to come back for a Wedding or Christmas. 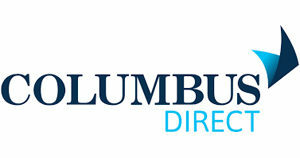 Downunder Insurance offer cheap insurance to residents and citizens of the UK, Australia and New Zealand. They also specialise in motor and campervan insurance too. Disclosure: Some of the links above are affiliate links which mean that some of the companies will pay a small commission for sending you their way. This will not cost you any extra and it supports the running of this website.